RECEIVED this announcement from Edd Fuentes, president and CEO of FuentesManila. 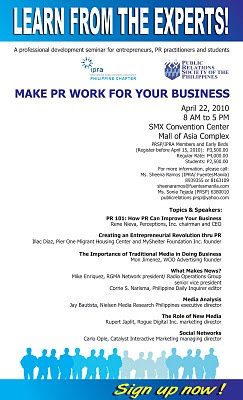 He also chairs IPRA Phils., the local chapter of public relations specialists and publicists, affiliated with the International Public Relations Association. Hmm, maybe we should send this to HP Phils. and Stratworks. 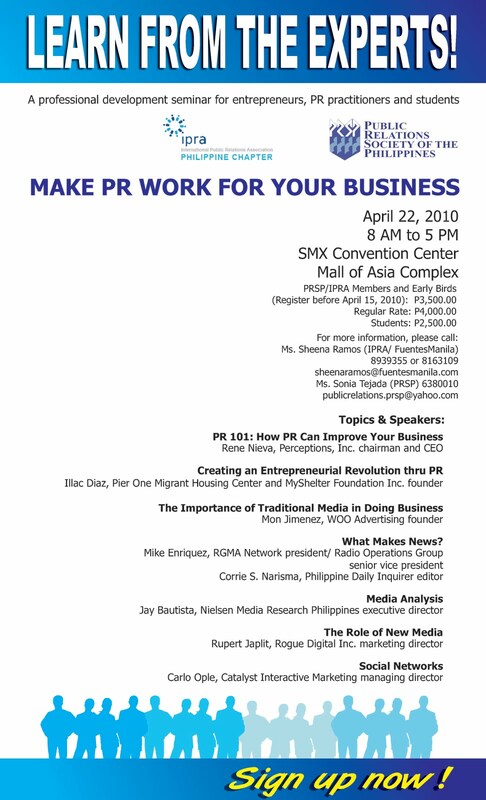 Who knows, their people could actually learn a thing or two about professional PR practices. haha.